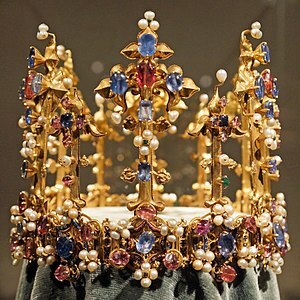 In 1402 the daughter of King Henry the IV of England, Princess Blanche, was set to marry Louis III of Germany.Every Princess needs a crown, of course, and Blanche brought with her a crown known as the crown of Princess Blanche.It is thought to be the oldest surviving crown of England and is a highpoint of Gothic metalwork and jewelry. Most of us today don’t have any experience with crowns.Whatever our occupation is, we don’t have any need of crown jewels.A crown is for someone important, someone royal or regal.And the placing of a crown on someone’s head signifies that they are the highest authority in the land. Today if you travel to Munich you can see the Crown of Princess Blanche. She and others who wore the crown have long since died, but the crown remains.People go to look at the crown and are amazed by its beauty. In a coronation the crown is the not the object of attention, the person who receives it is. The crown was a symbol of authority or achievement. In the 1960’s a 3M engineer was trying to create a super strong adhesive. Instead, he created the opposite, a lightweight tacky adhesive that left no residue. No one knew what to do with the glue like it was, so nothing happened with it. It took more than a decade for another engineer to use the glue to hold down his bookmark in his hymnal. 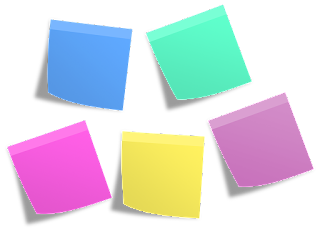 He thought it might be good to use on paper and for bookmarks, and then the Post-It note was born.